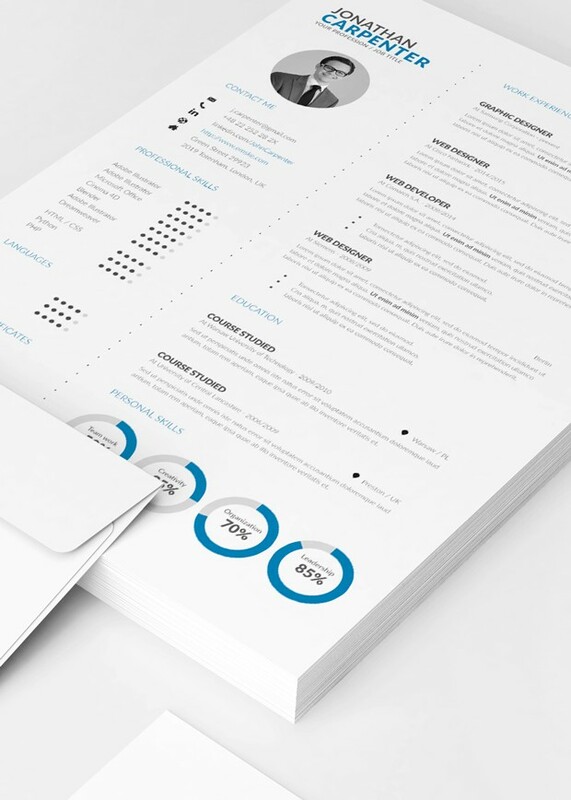 Creative resume templates are a great way to showcase your skills and experience in a way that will encourage employers to invite you for an job interview. 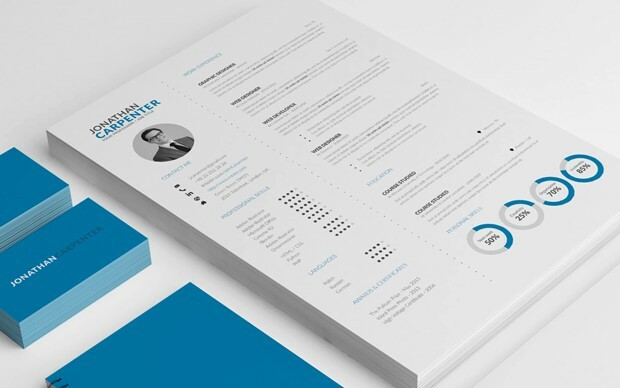 This resume template is very well organized and perfect shows how some simple design elements can be incorporated to create a clever resume that surely stands out from the crowd. All elements, blocks and pie charts are separated so you can easily edit the resume and adapt it to your needs. Take a look at the preview and enjoy the download! As always, any feedback is welcome. Download includes Ms Word template (.doc, .docx) and Photoshop (.psd). This is a premium resource and is only viewable for paid members, please sign in or register your premium account to view the download button. hey its not downloadable…… pls help me with that…. Please describe the problem, seems everything looks good just hit the blue download button after you login on your account. where did you guys find or buy the mockups for this template? next mockups will be available on friday. You need to be a premium member. I’ve registered but its quite hard to customzie it. Changing anything was quite hard to use on word. Gonna ask for a refund. Hey, this template have a lot of elements, and the Ms Word beginers could have some problems when you want to rearange them, if you want only change an existing view for your own there will be no problem. Check also your Ms Word version. If you will be have still problems with the template we refund you a subscription plan without any problems, just send to us a message. from where i can download this ? Can I upload this template in subscribing just the bronze subscription (6$95) ?? Can I also change the color of the template ? Yeap, you can download all templates for 6,95$ and all templates are fully editable, you can change everything you want: text, color, shape, rearange elements etc. 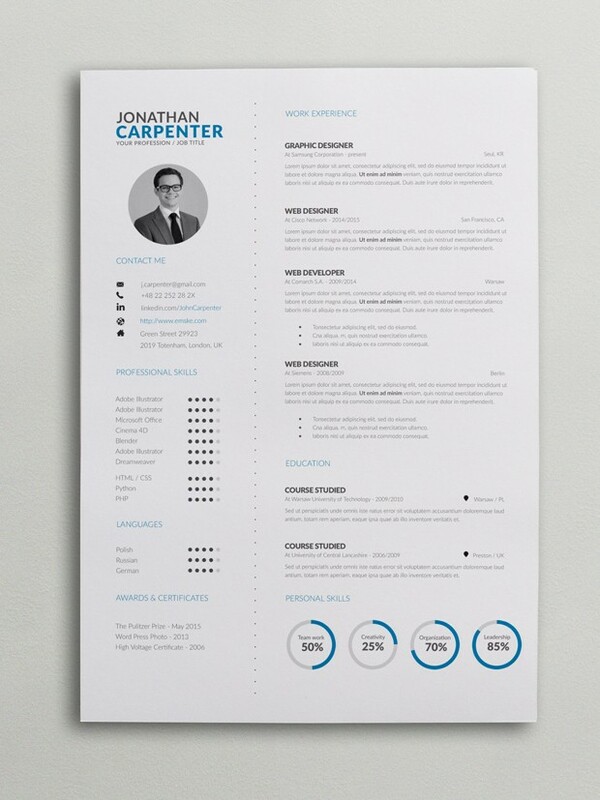 Do you have a template for a cover letter with this resume template ?